On the heels of Berluti creating a black-cherry patina for its shoes—an homage to the founder of the Krug champagne house, Joseph Krug (he carried a notebook in this distinctive colour to jot down his thoughts and ideas)—the two LVMH properties expand on their collaboration. 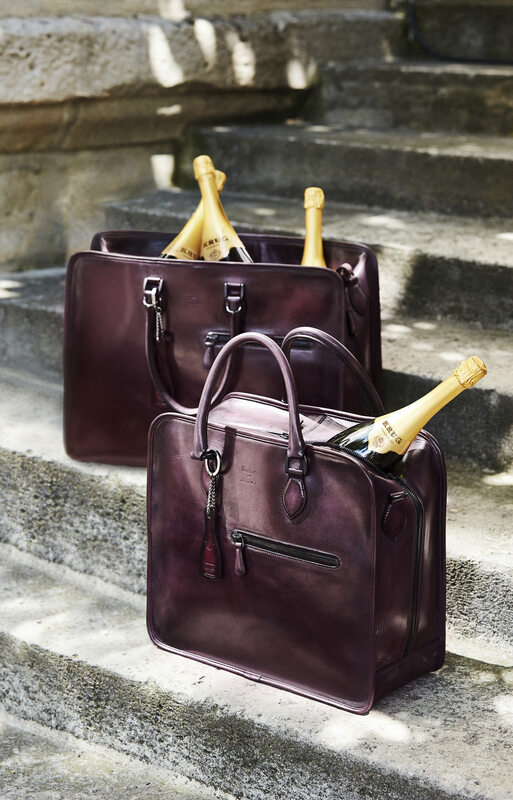 A new collection of bags, Berluti pour Krug, a limited edition with only 100 pieces, draws from Berluti’s emblematic Un Jour briefcase and comes in two sizes—Long Journey and Short Journey—both of which are designed to hold the respective brands’ coveted champagne and shoes. The collection is one of the first releases from Berluti under its new creative director, Haider Ackermann.